We all enjoy what we do and do it well. We’re always growing – the team, the business, the products we provide and the markets we reach. It’s an exciting time to be a Madgexian – there’s a determined focus on innovation and creativity - finding new ways to make life easier and more successful for our customers. We’re very much a collection of humans – not employees, or members of staff, or (the worst) resource. We’re people and we’re treated like people. With a heavy emphasis on learning and development and the budget to match, we’re truly into personal growth. Come and grow with us. Madgex isn’t only my workplace, it’s somewhere that cares about my health and well-being as well as my day-to-day life outside of work. The benefits such as Perkbox, Simply Health and our office fruit baskets allow me to live my life, enabling me to save money when I can and feel at ease by the presence of the Healthcare package provided for us. One of the best things about working at Madgex is the company’s appetite for innovation and a willingness to take on new technology. If you come up with a good idea, we will go for it. Things happen quickly here. We hire the best people and give them the tools to make great stuff. 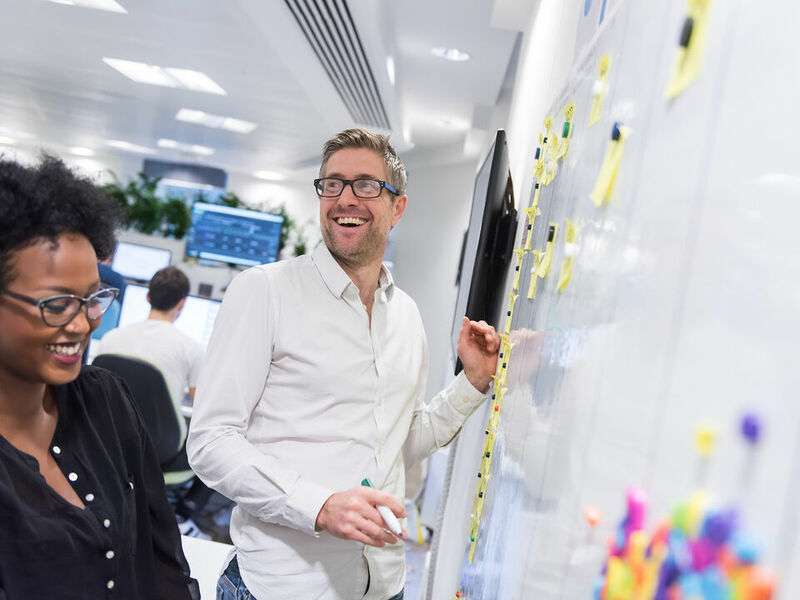 Our passion for UX and the daily opportunities to build on established languages and blend new technologies and frameworks into a successful software platform ensures our developers and designers are doing work that they love. And we’re always learning to stay ahead and fresh. 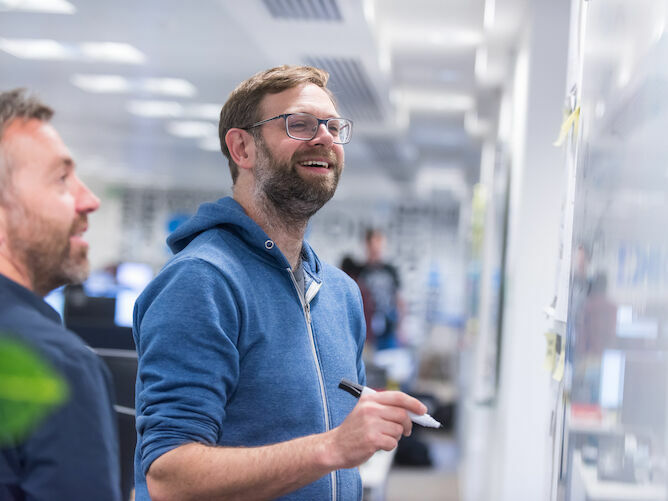 Development is at the core of what we do – both product and personal. We all have growth mindsets – we want to push the industry, the solutions we offer and the technology we use. Our new product focus is year-round – from our quarterly hack days when everyone lets rip, to the easy way we explore new product ideas from anyone in the business. The vast amount of data we process brings exciting opportunities to explore the most cutting-edge AI and machine learning methodologies. We work with world-leading institutions to explore pioneering technologies and the ways we can use them to disrupt the industry and make our customers’ lives easier. Our developers and designers are quite simply the best. Making the best and having the best time. Things never stay still at Madgex – all the projects I work on vary wildly and I have to get my head around all the latest technologies. I help develop the new products here, and it’s often up to me to find the right tool to use, so play an important role in the business. I work with great people, picking up good practise and developing my skills. Wish you were part of all this? We don’t just talk the talk. 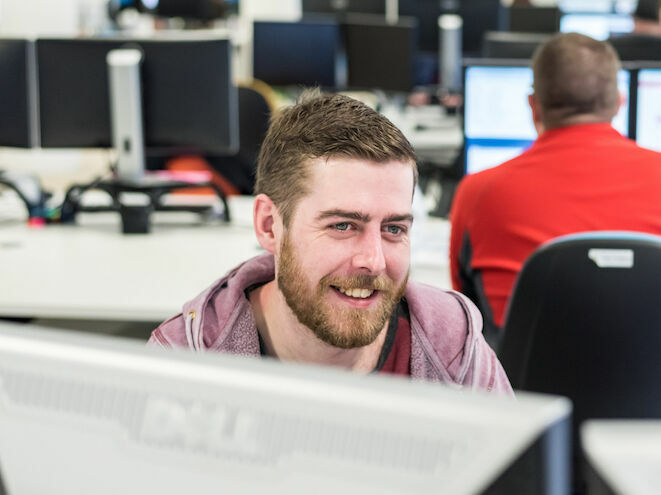 Take a look at our benefits – we’re committed to being a great place to work and mean it when we talk about work-life balance. We’re all humans with lives in the outside world. They shouldn’t compete.